ON THIS SIDE OF THE PEARLY GATES! 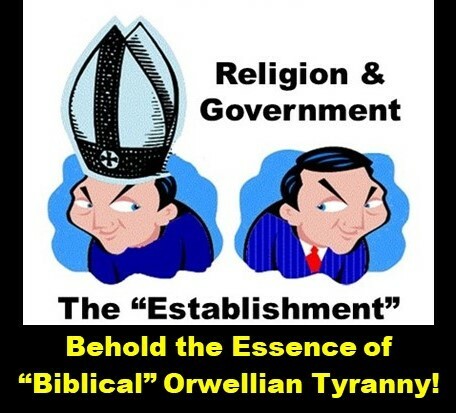 it is Orwellian tyranny! “Yes, believe in salvation through Jesus. Don’t get me wrong about that. Pervasive Preference for “Authority” over Honesty. Haha! 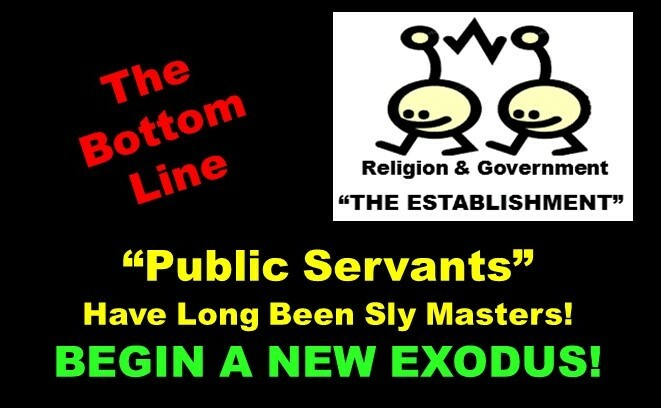 Government has been out-of-whack since the Exodus when the Levites and Israel’s “Elders” failed to enter the Promised Land in a timely fashion, as told of in the Book of Numbers. If anything, that failure was due to “officials” wanting to preserve their newly fresh status of having recently acquired positions of authority in the realms of religion and government which provided them with adulation, praise, and power by the easiest means available while remaining in the Wilderness of Sinai. Temporally speaking, had the Bible been developed to highlight and instruct more about HONESTY in regard, vis-à-vis, to all that it embellishes and hypes about “authority” in its storylines then a lot in this world would surely be different. Honesty would reign more through government than what it has for eons and many hardships would have been avoided. One must wonder about the Levites and their “dedication” to “managing” a large amount of Scripture and doctrine which have subsequently influenced and steered so much over 3500 years. The Levites’ “impact ” on things “theological” has suspiciously paralleled much tyranny over millennia, including both before and even after the occurrences of the Magna Carta, the Reformation, and the American Revolution – those great but nonetheless marginally liberating events that still have not stopped cunning “Establishment” from often surpassing and eclipsing even the repressive control formerly wielded by Egypt’s Pharaohs. Thank Goodness for John 7:24! Seriously though, would Jesus have caused people to think deeply in many ways but then not analyze their own “authorities” themselves with the brains that God gave them? Following Below – Starting Here. Access the 14 Questions via the link for page 2 at the bottom of this page. Get “Red Pills” about Religion! are honest. Where did Jesus get whips??? Hehe! 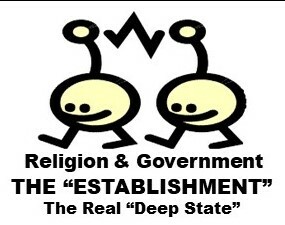 spread “Establishment” tyranny that erases the freedom of the Exodus. Religion and Government Often Go Bad When Good People Do Nothing. That is the Bible’s Main Temporal Warning from the Exodus Onward! (Hebrews 7) and NOT after the Levitical Priesthood of Israel. 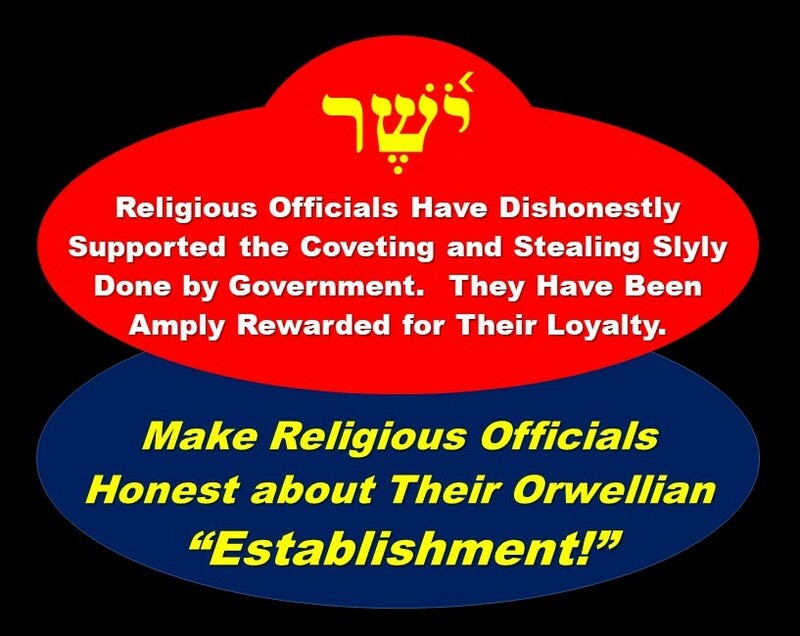 All the way into the 21st Century, “Religious Officials” continue to pattern their Orwellian tyranny after the Levites instead of honoring the memory of MELCHIZEDEK! 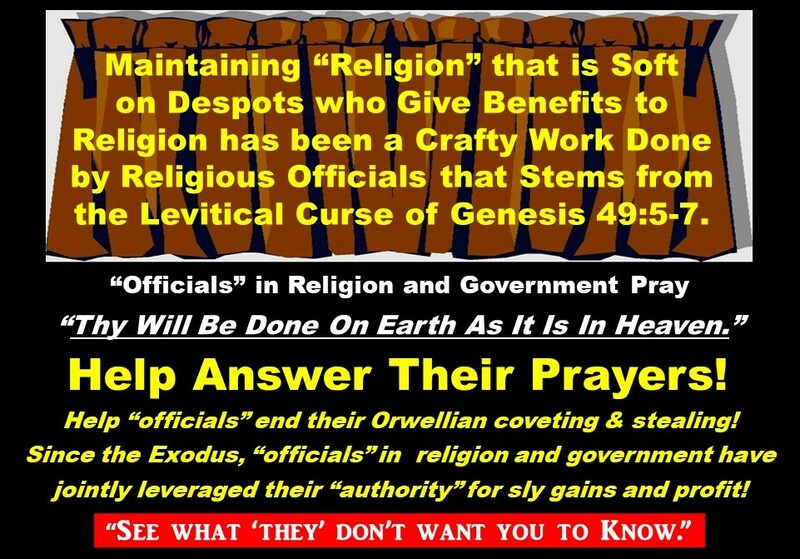 Over and Over Again in the Biblical Story, Prophets Had to Shore Up for the Ruinous Greed & Bureaucratic Laziness of the “Priests” that Sought Adulation, Praise, and Power by the Easiest Means Available, Beginning with the Levites. “Levitical Ministry” has been a curse to the present. Done by Orwellian “Establishment” Government. for Their Own Convenience and Profit. Including Many from the Prophets. Melchizedek or Abraham’s Offerings to Him. Unfortunately, the “Levitical Priesthood” Has Been Both a Curse and a Template for “Ministry” over the Past 3,500 Years! Suspicious Circumstances, Explained in CLERGY SECRETS. the Coveting & Stealing Done Through Government. Years of Orwellian “Tradition” to the World! If you are Christian, you are a spiritual prophet and not just a spiritual “priest.” You care about discerning honesty like a prophet. 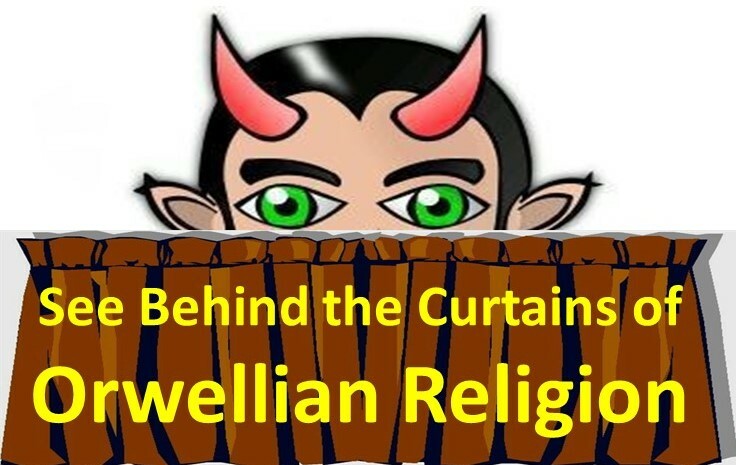 However, are you exercising such discernment or being cheated out of it by the Levitical Curse manifesting in your “religious officials?” CLERGY SECRETS is about activating your “Prophethood” to “see behind the curtains” and end the Levitical Curse. WHAT IS IT ABOUT TAXES? Jesus paid taxes to honor his own honesty – in contrast to the Establishment’s dishonesty. Jesus also paid taxes to block/befuddle the “authorities” from trying to close his ministry. Besides, Jesus’ ability to befuddle “authority” was part of his intended Passion! 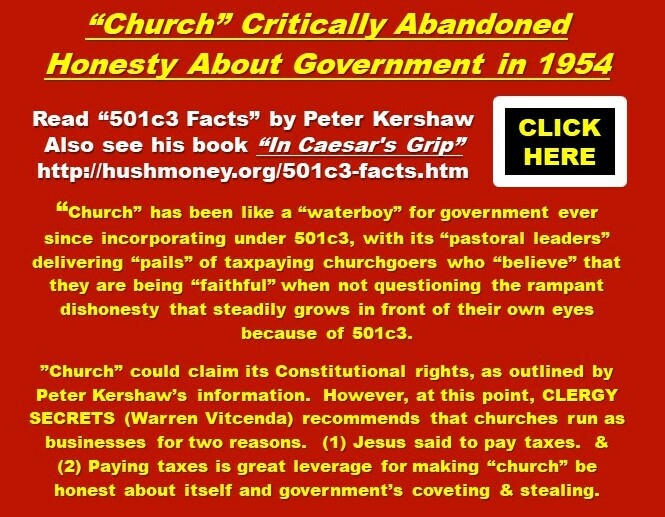 When “church” is untaxed, it heeds the needs of the state. could become its sharp weapon! like Jesus’ ministry, right? Make “church” honest! 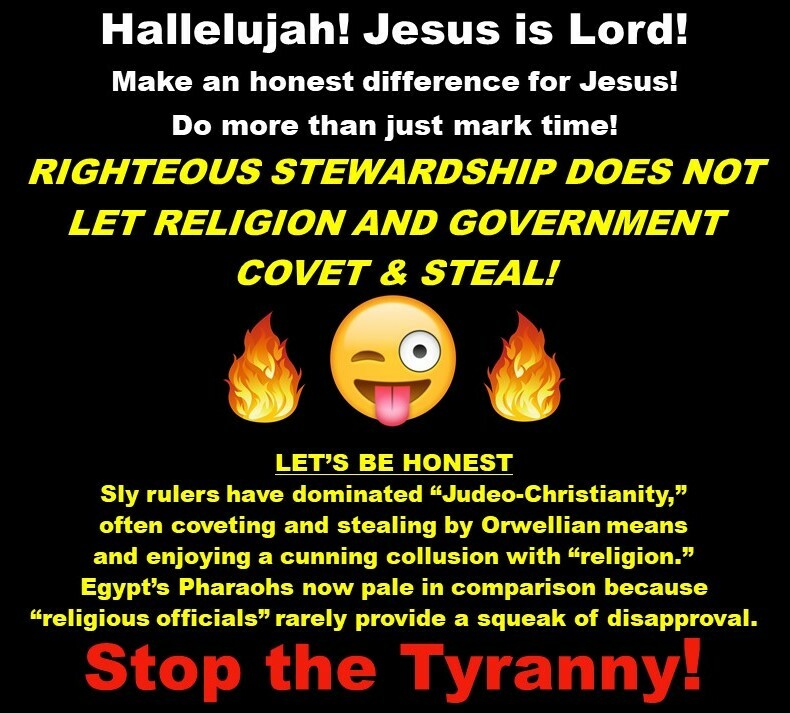 Besides, with US Debt at $21 Trillion and Social Security going broke by 2033, if not before, you CANNOT AFFORD to have “church” be crony about government’s Orwellian coveting & stealing! 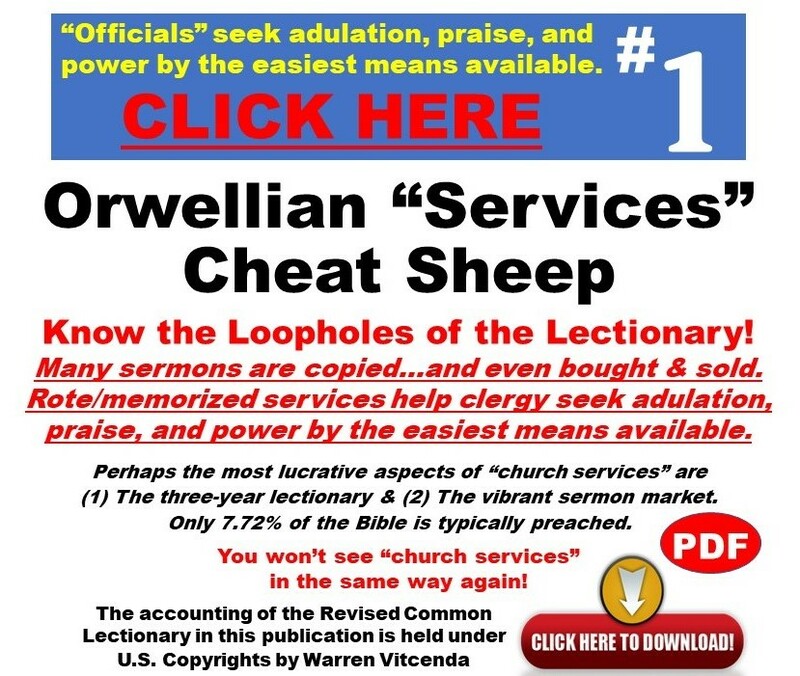 What would happen if your “pastor” gave a sermon about government’s coveting & stealing? Don’t hold your breath. It is HUGELY UNLIKELY to ever happen! 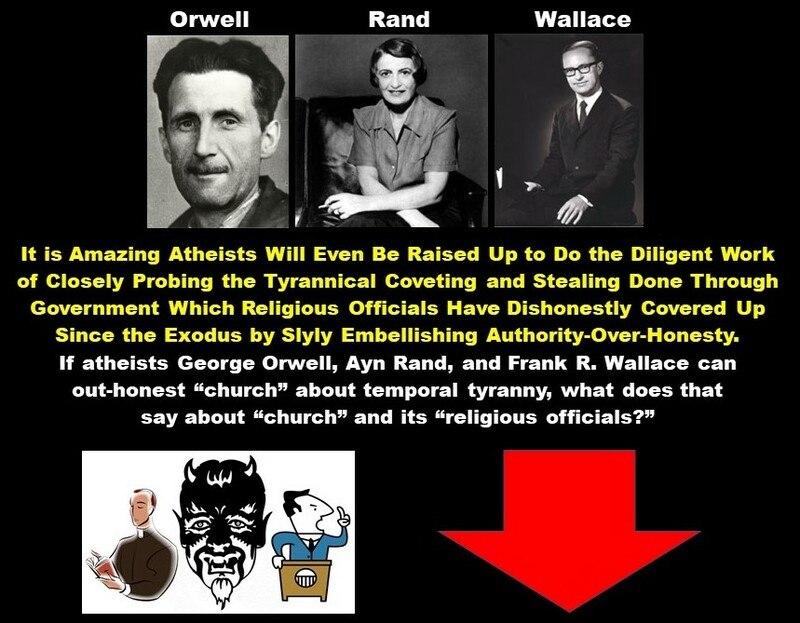 Use This to Examine YOUR Religious Officials! You gain Authority when you question and research. “Priests” in their “doctrine” on authority. Kobayashi Maru Test! If you know about it, you understand! No! LOL! But “church” certainly wishes that it did! your honesty are all at stake!